A FREE concert on 22 March will be part of the live streaming events organised by the Camberley International Festival. The concert is also being marketed by the latest Youth Marketing Academy students, featuring pupils from Farnborough Hill lower sixth form. From busking to the X Factor to releasing a new album in months to come, Jack Mason’s “voice of an angel’’ has entertained millions. With a musical style similar to Ed Sheeran or Sam Smith, Jack’s talent for singing hasn’t gone unrecognised. 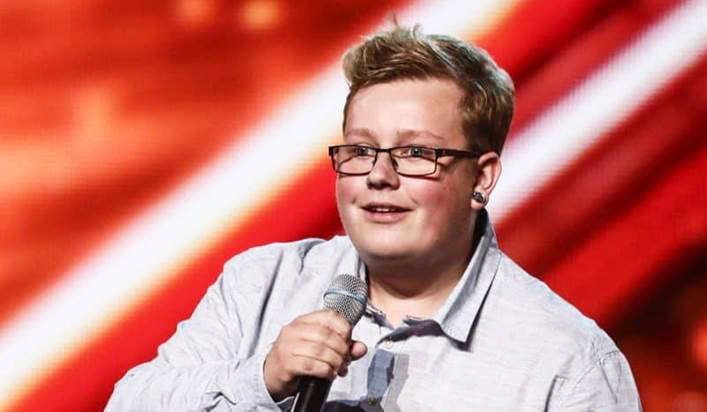 Making it through to the Judges’ Houses on the X Factor was for Jack “the most amazing chapter” in his career and he is performing hit songs from artists like James Bay, Ed Sheeran and Nina Simone. The chilled out night will include live music from Jack and Will Whisson, refreshments and a chance to meet the real Jack and not just the busker from the ITV show. Tickets are free, just email Jo Bartlett (contact details below) to be added to the guest list. Don’t miss your opportunity to see “Aldershot’s Ed Sheeran” in what will be a great night for families and friends alike. Support on the night comes from Will Whisson, who is an “easy-going, dedicated and adventurous musician’’. This will be a great evening to experience some new music from an artist you may not be previously aware of. One of Will’s most recent songs, Nowhere Bound has a music video showing his journey of 450 miles on a charitable bike ride in memory of a loved one. Will used his influence for a greater good by raising £2000 for Cancer Research UK. The genre of music Will is associated with Indie-Folk, which has lyrics inspired by a broad range of subjects, touching on themes such as loss and heartbreak often with a political edge to them. Will believes that hope is the element that binds his songs together. For Will, the best thing about performing in concerts is meeting new people and bringing them together. The evening will run from 7-9pm and guests will be welcomed with a complimentary arrival drink. The Mayor of Surrey Heath, Cllr Valerie White, will also be attending as she will be presenting the four students with their Youth Marketing Academy certificates. The YMA has been organised by Surrey Heath Borough Council and Camberley Theatre to help students learn an insight into the modern digital marketing world. If you are unable to attend, the concert will be streamed live via the Camberley International Festival Facebook page and both artists will also be performing at the CIF in June.